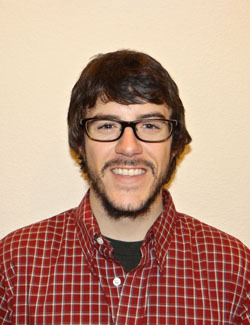 David Carlino moved to Colorado and has worked for two small consulting companies – Network System Architects, Inc (NSAi) and Redspin, Inc. In both engagements, he has consistently had opportunities to apply the skills learned and practiced as an undergraduate student in IST: team leadership, effective communication, problem identification, and solving. In his current role with Redspin, Carlino works remotely from Denver, CO in between traveling to client work sites around the US to perform security risk and compliance assessments. Assessments focus on risk to the individual client but are often associated with compliance to government regulation such as HIPAA, NERC, PCI, GLBA, and SOX. The variety of types of clients and regulation requires Carlino to research continuously in order to provide accurate assessments and reports. Outside of work, Carlino is an avid adventurer, seeking the thrills that the mountains of Colorado offer in abundance. Whether snowboarding, rock climbing, riding a bike or multi-day camping, Carlino spends much of his time outdoors in any season. Carlino is a 2009 graduate of the College of Information Sciences and Technology at Penn State. Carlino will present on Thursday, March 21 from 4:15 p.m. - 5:30 p.m. in room 113 IST Building.